Home Credit Cards Chase Ink Plus 70,000 Point Signup Bonus Ending This Sunday! Chase Ink Plus 70,000 Point Signup Bonus Ending This Sunday! Spend $5,000 in 3 months on a new Chase Ink Plus card and get a whopping 70,000 point signup bonus. The Chase Ink Plus business cards is one of the best credit cards out there and this is the highest ever public online offer. Some people have been able to get this offer in-branch, but now it’s available online for everyone. It’s not difficult at all to get a value of 1.75 cents per point when using Chase Ultimate Rewards points for travel by transferring them into airline miles or hotel points. That would make this signup bonus worth over $1,200! You’ll also earn between 5,000 and 25,000 bonus points for the base spending depending on whether you spend in 1, 2, or 5 point per dollar categories. So after spending $5,000 you’ll have between 75,000-95,000 Ultimate Rewards points at your disposal. There is a $95 annual fee. There are no foreign exchange fees on the Ink Plus card. Insurance coverage on car rentals in every country outside of the US is primary on leisure or business rentals. Within the US coverage is primary for business rentals and secondary on leisure rentals. For example if your name is Joe Smith and you sell items online, or if you have any other side business/hobby and want a credit card to better keep track of business expenditures you can just open a business credit card for “Joe Smith Sole Proprietorship” as the business name. You don’t need to file any messy government paperwork to be allowed to do that. 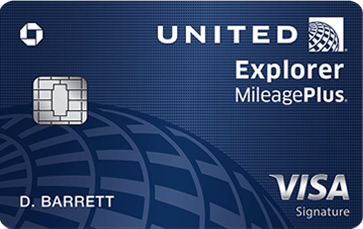 You’ll also getive 2 free lounge visits per user, even on free additional user cards. Here is a link to find valid lounges worldwide. Lounges include the Dan Lounge in Tel Aviv and the Art & Lounge in Newark which both have kosher food. Ink cards are now all issued as Visa cards, so you can register them for Visa Savings Edge. With that program you earn cash back on top of points. You’ll earn 1% cash back at Staples on $200+ purchases, 1% cash back at Chevron, and Texaco, 2% cash back at TigerDirect, 4% cash back at Alamo and National, 5% cash back at Lenovo, Sony, and several hotel brands, etc. -Upgrading at your local carrier’s store to an iPhone or Galaxy? 5 points per dollar. -Buying gift cards for Amazon, Gap, Groupon, Kohl’s, Macy’s, Marshalls, Nordstrom, Southwest Airlines, TJMaxx, etc? 5 points per dollar. At Staples of course you would earn 5 points per dollar plus 1% cash back on $200+ purchases. You can buy $200 Visa gift cards (now sold online from Staples) that earn 1,000 points and can be used to pay bills with EvolveMoney, uploaded to Bluebird or used for cash back, bill pay, money orders, etc. –United (Star Alliance) is still an excellent currency, even after their devaluation earlier this year. They never charge fuel surcharges, have very flexible routing rules, they allow one-way awards for half the mileage, they have short-haul awards for 10,000 miles, they allow for a stopover and an open-jaw so that you can really maximize a single award ticket into several free trips, and they have dozens of partners to fly on, most of which can be booked on their website. –British Airways (OneWorld) is awesome for short-haul awards. Just 9,000 miles for a round-trip zone 1 or 15,000 miles for zone 2 short-haul award. The zone 3 award for 25,000 miles round-trip can also be a bargain, for example a flight between the west coast and any of the Hawaiian islands or between Boston and Ireland is just 25K miles round-trip with no fuel surcharges. Flights to Israel on Air Berlin are just 60,000 miles with no fuel surcharges. They allow one-way awards for half the mileage. There are no close-in or expedite fees. You can cancel an award for as little as $5.60. Infants are only charged 10% of the miles on international trips instead of 10% of the full fare like US carriers charge. Plus they don’t collect fuel surcharges on AA/USAirways within the western hemisphere, on Qantas within Australia, on Air Berlin, Aer Lingus, Alaska, or LAN and you can transfer points to Iberia to limit fuel surcharges there as well. You can read more in the BA knowledgebase. And you can see 102 places you can go to nonstop from NYC with Avios. –Southwest offers a value of about 1.7 cents per point towards award travel. Plus you get 2 free checked bags, free flight changes or flight cancellations. and you can even get a point refund if the price of your flight goes down. You can also transfer points to Airtran for flat-rate awards like business class upgrades or free tickets at a flat rate instead of a rate that corresponds to the ticket price. From Airtran they can even be converted back into the old Southwest program that also offers flat rate awards. –Virgin Atlantic has some niche uses with awards on Delta and Cyprus Air. For example a round-trip from Tel Aviv to Cyprus is just 5,000 miles! –Hyatt is a very powerful hotel currency. They have finally added a cash and points option that offers some excellent values and more importantly those stays earn points, elite stay credits, promo credits, and you can use suite upgrades on cash and point stays as well. It remains far less expensive for high-end hotel stays than any other hotel program, a $1,500/night villa at the Park Hyatt Maldives would run just 25,000 points or 12,500 points+$150. -You can also transfer points to Marriott, Ritz Carlton, Priority Club, and Amtrak. I’ve never been on an Amtrak in my life, but some people have reported getting some really nice bargains on Amtrak travel via their program. -A night at a Park Hyatt in Paris, Sydney, or the Maldives can run $1,500 with tax but you can use 25K-30K points for that room, a value of 5-6 cents per point. Or you can use less points and get even better values with cash and points. If you were using Capital One points you would need 150,000 points per night. And that’s all besides for the fact that getting a Capital One card costs a minimum of 3 credit pulls whereas you can get several Chase cards with just 1 credit pull. 209 Comments On "Chase Ink Plus 70,000 Point Signup Bonus Ending This Sunday!" Can anything be done about the annual fee? I currently have this card active. Can i get approved for another one under the same business and receive the bonus? Anyway to sign up with these without having business revenue? If I apply for this and a personal card will it be one credit pull or two? Is Chase Ink Plus the same as Chase Ink? I already have Chase Ink, can I take advantage of this offer? Any idea if they will match the 70k through an SM for someone who just got this at 50k? Is 2 or 3 bm still working with chase. I literally just got approved for the 50k. 3 hrs ago. What are the chances they match me to the 70k? See the end of the post? A $95 fee is going to stop you from getting a 70K bonus? Unlikely they’ll give you 2 of the same card for the same business. Still showing on the website, I’d HUCA. Not really a science, just up to the rep and your HUCA skills. You can get a card for a new business and write the expected annual revenue. There are several Ink cards, depends which one you have. You can call and ask which one it is. Unlikely as this offer has an annual fee. Still works fine, HUCA and have a good reason for wanting the cards. Unfortunately small as the 50K offer had the fee waived and this one has an annual fee, but you can definitely try. Dan, I just closed my ink plus at the end of June 2014. Do you think I can get approved again? @JimJam: @Albert: I had the same thing last time (with 60k) and they said they match within 30 days. @abka Yes, they will waive it the first year. @levi Sometimes you can, otherwise read Dan’s tips in the post. @curious Yes you can. They will often ask you to call in to verify information, but rarely ask about revenue. Even if they do you can make a number up that sounds sane and if you don’t wanna fib then apply as dan mentions above and use your personal income as the number. @benny Most likely two. I did it the same day and they pulled once for each. @Albert I just SM’d them. I’ll let you know what they say. @Dan the 50k I got was with the annual fee as well. Lol, where did you find a 50K offer with an annual fee? If you really applied for a card with an annual fee then there’s a good chance they’ll match it. When you apply, do they give you the answer immediately and if not does that mean that you may not get it? If I have one for my Business could I open another one for “my name sole proprietor” ? SM wouldn’t match me to 70K but they matched me to 60K. The difference between this and the 50k offer (or recent 60k offer) is that the $95 annual fee is not waived for the first year for this 70k offer whereas it was for the other. I think you should definitely call and ask to be matched to the 70k offer, but if you had the 60k offer, the increase in points is essentially negligible taking into account that you never had to pay the $95. How do you know they will waive the AF? Been trying to get approved for the ink card forever dan, they keep on saying I don’t have enough business history! Any suggestions?? If I have an ink bold, can I get this card for the same business? Just because you don’t get instant approval doesn’t mean you’re not approved. There isn’t a limit of the number of businesses you can get a card for. I would buy 10K UR points for $95 every single day. They’re worth far more than that. @Dan: Of course not, but a getting the fee waived is still something to inquire about. got rejected for this card 5 months ago, said too many accounts opened (3) what are my chances of them approving me now? They’re not going to waive the fee right away unless you spend a lot of money or cancel the card. Definitely worth trying by now. Probably the same chances like then it may or may not happen if “you” believe you should get approved then there is no reason not to be able to convince a representative to give you! Just be persuasive & don’t give up. does a pre-approval letter for this offer sent in the mail make your chances better to be approved? How much is a lot? is $5000 enough in your estimation? There’s no such thing as being pre-approved for a credit card. Pre-approval is just something they send to people who have a good chance for approval. Really depends on your personal income, credit score, and the future of the business. Ultimately it’s up to the phone rep you talk to, so it’s up to you to make the case. Can these points be transferred to my personal Chase UR account since I have a Sapphire proffered? If you are approved you’ll get the points. Do you currently have an Ink Plus card for the business you are applying for? Do you see the 50K SW cards on the horizon? Would like to wait on this until those come out. can I do a 3 bm with the same browser and just use multiple tabs? I did’nt got approved a few weaks ago, Should I try again? No, use 3 different browsers & be aware when doing 3 apps by chase most reps won’t allow you more then 2 cards in 30 days. Will 3bm work with one pull if I put 3 different businesses for this same card? Dan how do you think this is connected to them discontinuing the ink Bold card? @c: I ONLY HAVE ONE BROWSER WHAT IS THE DOWNSIDE OF USING 3 DIFFERENT TABS? Hard to say when those come around. But even if you get this now you can always get that when it come back. The Plus card allows you to pay over time, the Bold does not. They are going to focus on this card going forward as they phase out the Bold card. Might not properly submit the apps. Why not download more browsers? I read that I could transfer the bonus points to my southwest rapid rewards account….Is that true…if yes, should I do that? Looks like the rules may have changed for Staples and others – the application says you get up to 5% cash back for those type of purchases and not points. How does that affect the deal? Are visa gift cards at staples considered ‘qualifying purchases’ by visa edge and earn 1% cash back? Just curious if you heard any rumors about the 50K SW because the GetPeyd guys sure think it’s coming up (based on their newsletter). I think that going for this card (whether I get approved or not) would significantly hurt my chances of getting the SW cards in a few weeks as I would have a pull and possibly a newly opened Chase card. From my experience, that can be very hard to deal with during recon. Would rather go for all of them at once, if the SW offer comes up. That’s correct that you can call to discuss, but check out the recent posts in ,url=http://forums.dansdeals.com/index.php?topic=8398.0]this[/url] thread to see how people have been having difficulty with Chase business recon recently. @David: You can transfer them to a lot of airlines/hotels. Only you can decide what will be best for your situation/needs. @JoshIM: Chase refers to it as 5% Cash Back, but you really get 5x the points – which can be redeemed for 5% Cash Back. You will get a much higher ROI if you transfer to a partner and redeem for flights/hotels. @Moe: Sorry I’m not Dan, but yes, Visa Savings Edge does work for VGC’s bought at Staples. 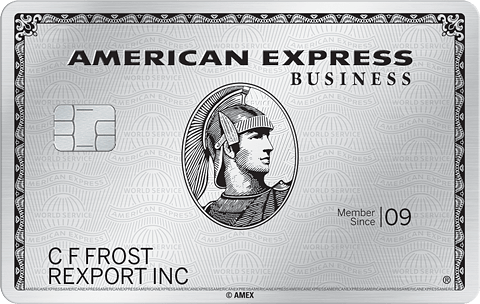 Dan, I just about a month ago got approved by amex for a few card ( with 3mb) do u think that I should try to apply for this as well? I wanted to wait about 4 months till I apply but this good offer is smiling to me. Any way to get approved for both the Ink and Ink Bold? Also if I apply for another card will it hurt my chances? Dan, you posted Other Chase cards you can apply for at the same time , does it have to be different browsers? I have been AA’d by Chase in December and I hear ppl are having trouble getting approved after AA, is there any chance? And what do you tell them to convince? how can i find availability on air berlin? nothing coming up on ba website… do i need to call? Got the “decision pending” email. Called Reconsideration immediately, answered all his questions in a coherent, sensible and confident manner and was approved! 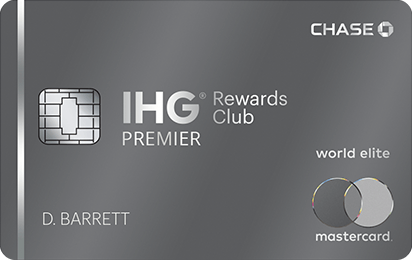 You only listed a few other chase cards that could be applied for at the same – did u just list a few examples or are the others (such as the marriott card) not be applied for at same time? I have a past(2 years old) stain on my credit bec I owe money to a collection agency for a hospital bill that’s 5 years old, my experian credit score is currently 712. Do you think its worth applying for this? @Dovid Freund: It always means you won’t get approved unless you call. Even if u you have “your story” straight it really depends on the agent. Some are really bad. A woman @ Chase in business recon dept it terrible starts telling you she knows you’re only buying gift cards, MS, etc. If you get someone that starts talking like that hang up BEFORE she “processes” your application and talk to someone normal. El Al ended their partnership with AA last week as you predicted and just announced they will be code sharing with JetBlue also like you predicted. Are there specific SQ routes which generally have better Suites availability when booking far in advance? Finding two seems particularly difficult. Dan’s predictions are coming true… Dan – any idea what the winning lottery numbers are for Powerball? Is there any way they should close my card if I get approved because they noticed somehow that this is not a real business? You wrote that upgrading phone to iPhone at local carrier would get 5x, but my sister used her Ink card to buy an iPhone 6 at the AT&T store and didn’t get 5x. Did others have a different experience? Ill-informed people cash out the points for a penny each when they could be transferring it to far more valuable airlines or hotels. There is no plain “Ink” card. Depends on why you were shut down. You can, but it may take some HUCAs. It does not always mean that. Yup, was posted on DDF earlier today. I’ve booked several JFK-FRA flights in suites. You need to have a business to get approved. But you are allowed to get an Ink card without a traditional business. I got 5x at Verizon. Bold will say Bold on it. Otherwise it can be Cash, Classic, or Plus. Gotta call and ask. This way they are all business so should hopefully it will be one pull. I have a corporation plus a dba can I apply for both at one time and get approve for it ? If so can I try to open for more companies (sole p) ? @Dan: too much available credit (credit report related according to official reason) nothing with perk abuse.any chance? @Dan – I cancelled an Ink Plus card on June 1. Too soon to apply? If I apply and get approved, will I get the bonus? If I don’t have a business yet but planning in opening can I apply for this card? And if yes what should I write as my total yearly income? They couldn’t match to 70k, but they gave me 10k bonus points. The lesson is, it never hurts to ask. @Dan is it 5 points per dollar for cell phone bill as well? I’m asking because you only seemed to mention cell phone purchases. I applied for both the CSP and the Ink Plus (currently have Freedom only) and got pending for both. When I called the number given, which I think is directly for the business line, the guy wanted articles of incorporation, or certificate of formation and such, even when I said I am all online (freelance writing) and don’t have a storefront. He said, “Well, that’s inconvenient,” and basically left it at that. And then I called the CS/app line. The automated message said 7-10 days for both. Erggh… denied?? I don’t know. I spoke to a CS rep who said that he can’t see much on his end. He doesn’t think I need anymore information, and they are currently just reviewing. I got a message that they need to review my application and will mail the results to me. is it worth calling them? also are all the different chase charge or credit cards considered different products in regards to being eligible for the signup bonus? Can business and personal cards count as one pull? 2) What are some good arguments for the reconsideration line if I am rejected? Write in the “projected” income of the business. I also got a message that they need to review my application and will mail the results to me. I already have a Chase Southwest Business with 17k credit line opened last year, would not mind transferring most of it to the new card or even close it before the yearly fee in November. I would appreciate if you post the Reconsideration phone number. how much time must have passed since i cancelled this card last in order for me to be able to get this bonus again now? Re: Dan wrote – On a business card itâ€™s just not reported, so you can wait until the money is due without it having a negative effect on your score. Plus if you close a business card it wonâ€™t ever have an effect on your score. I was approved, but told that g-d forbid IF I defaulted on this business card, they DO go after my personal assets. So, it must affect your personal score if they transfer the debt to your personal credit report. I got the ink card for 60,000 recently. I know you made a post about sm’ing chase to match a 70,000 offer but I cannot find the post. You should have an easier time then. If approved you should get the bonus based on my experience. You can use projected income. Or just write nothing and explain to recon. In my experience (and others on DDF) the UR cards don’t have a “time limit.” If you are approved you’ll get the bonus. MBM just helps with instant approval. You can’t match to 70K anymore. Does it help to shut a c.c. I’m not using to free up credit? No. You should use that as leverage to get approved if needed. Is the Ink Business Bold the same as the Plus? 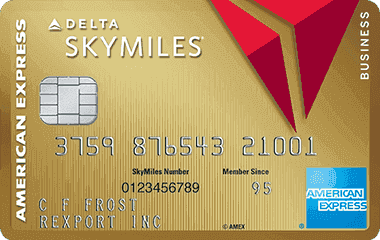 A little off topic, but if I got the bonus delta skymiles from the recent offer deposited into my miles account can I already close the amex credit card without losing the miles? Dan, 2 questions: (1) Some folks have mentioned a 70K offer for the Ink Bold charge card, but I can’t find any link. Is there one? (2) You mention getting a Lounge Club card with 2 free lounge visits per year for the card member and even additional users, but the hotlink you provided just talks about the Authorizing Officer (that is, the card member). Can you really get a separate Lounge Club card for additional users? 2. I’ve gotten for my AUs. Any tips for when i try again in a few days? I got the 30 day notice and called recon and the rep declined me she said that my business is only 2 years and they can’t approve me……. Any suggestions???? Would a “landlord” of a single rental property be considered a business when applying for the ink plus? There are definitely legitimate business expenses there. @Dan: I did call again and the rep said same thing…. Do u think I should try calling again?? There is no negative effect of closing a business card. Even closing a consumer card doesn’t have an effect if you salvage the credit line. If I apply for chase bold ink and do as sole proprietor, will anything get affected in terms of taxes or anything like that since I am using my social security number? @Dan Thanks for posting this. Just got approved and will receive my card before the closure of Amazon Payments. Awesome. Screen said to call up 1800 number. The rep said I need to send in proof of address, SS number & DOB to be approved. How much income amount will be consider suffice for a small/slow business but with good credit? Did you use 3 different browsers? As always this stuff is YMMV. Not really a magic number, sorry. 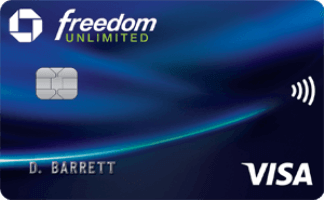 i guessed its been asked before, but to be clear, for the first $5000 in the first 3 month can i just buy visa gift cards or similar solution if you can give an example. Any tips on what I should do when the Ink rep insists on proof of business address? I told him that I legitimately do not have any as a sole proprietorship. He keeps insisting that I should have an article of incorporation or certificate of formation, which only applies to partnerships, corps, LLCs, etc, but NOT a sole proprietorship. hey dan if i have the chase sapphire, freedom and united is there a bigger chance ill get denied? Do applications for personal cards impact applications for Chase business cards? I want to make sure I’m not applying for too many Chase cards in too short of a timeframe. I got Bold in May, Explorer in August, and was planning to get the Hyatt card in a few months. Would I still be able to get the Hyatt card if I applied for Ink now? Is there a general rule of thumb to follow? What if I have no business to prove. What’s my best shot to get accepted for this card? ( to a different last name) and it did not let. says can only transfer to spouse. did this change? I used to always be able to transfer to my partner. is there a way around this? for the lounge access its says i need a invitation code. do i call chase for that? Dan, Just canceled my last Chase ink card last month (first yr was over) Think I should even bother applying for this new offer? if i buy gc’s from staples through visa checkout to save $50 off $200, does that count as a staples purchase for reward points? I got an email a few minutes ago telling me they’ll let me know within 30 days. I usually get approved immediately. I went the sole-proprietorship route — would I have been better using the name and tax number of a partnership that’s sort of defunct but still has a bank acct? How do I apply for this card without having a business? 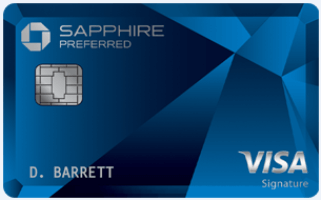 Dan- is it fraudulent to apply for a business sapphire card and use it for personal use but paying the bill out of your personal accounts in order to be able to pay a bill closer to due date and not hurt credit score? Also if expires Sunday, that means until 11:59 pm, correct? @dan u always wright about upgrading to a new phone and getting 5 points for the dollar…. What about buying a brand new iphone from apple??? Tnx in advance!!! Just applied, got approval in seconds…Thank you Dan! I applied yesterday and was told ill get an answer in the mail in 10 days. I assume it means I was denied but I plan to fight it. Any tips on how to get then to approve me over the phone? Also if approved after Sunday when I call, does that mean I will still get the 70,000 signup bonus? As always, thanks! W/o u I def wouldn’t b able to fly or have awesome vacations! can I do two sole propieters on one social? and get appreoved for two cards? Time to open a small business? So, no, they don’t seem to care about that. Theoretically, but why wait until the last second? No, only charges from cell phone providers get 5 points per dollar. As long as the application says 70K when you apply it doesn’t matter when you get approved. I just did a sign-up spree last month and was planning to wait a few months to recover before doing another round (One of them was the Ink Cash). Do you think I can safely apply now and get approved? Dan – Ca you link to any step-by-step outlines of buying gift cards or reloads and paying bills with them or getting them back into your bank account for those that cannot lay out the $5K for a few months until they use all the gift cards. Dan – why do you have the entire post on your main page? You should have a paragraph on the home page, and then the link takes you to the full post. That’s what blogs typically do – otherwise you have to scroll forever just to get to a post from 2 days ago. Also, why not have links to posts (organized by month) on the side? I feel like with very little effort, your site could be significantly better. Just trying to help a fellow J. @dan thanks for your response. So if applying for the Chase ink business card and applying with three different browsers at the same time, in order to get triple the points, will I need to spend 5000 on each card or I need only spend 5000 on one card but the points will register three times? What would be considered a small business if I don’t really plan on utilizing it? If I have a company selling on eBay, amazon or something similar and I plan on using it for this, is that legit? just applied sayes will get answer in 30 days means declined? if I use visa checkout on staples.com is that counted like buying on staples? as it seems they’re offering $50 off a $200 purchase. if it is ok, will it work as well for the visa gc’s purchase? Dan, if i applied and got a pending status should i call recon? @Dan: The limit of 4 Amex credit cards is it only personal cards or does that include business cards or business cards could also have 4 or no limit? Dan recently canceled a bold card. Think Its worth applying for this offer? Or maybe more worthwhile to apply for a diff business? @frigf ye. i called and they told me that there wasnt enough history of my business and i need to wait longer. any way i can get around this? @sam gucci: If you look at the fine print on that $50-off-$200 deal, you’ll probably see that gift cards are one of the exclusions. And yes, you can get 5X points at staples.com, officemax.com, quill.com, etc. Is there a rule of thumb about the maximum frequency you can apply for Chase cards? I applied for Bold in June, Explorer in August, and plan to apply for the Hyatt card shortly. Would an Ink Plus application before Oct 20 be too many? Does Chase consider personal and business applications to be connected? @frigf: How soon after you applied was your wife approved? If i have 2 ink cards under different business names, but EVERYTHING else is the same, can I combine the Ultimate Rewards Accounts? Dan, people talk about not opening card within 2 years of buying house. You mention a few months here. Any thoughts on that? Is that just being overly careful for no reason. What about spouse getting card during that time before house? So I am confused about how to manufacture spend on this. The Isis (Softcard) website doesn’t seem to indicate that Ink can be used to pay. What’s the best way to manufacture spend in the Ink bold or plus? @Dan, do Kickstarter purchases (which uses Amazon payments) earn 5x per dollar with the Chase Freedom card? Chase Ink, BA, Sapphire, got just Sapphire. Amex Platinum, Everyday, Delta, got Platinum and Delta. Citi AA, Preferred, Hilton, got just Hilton. Question is Should I call them back, or it’s good enough? Why did you wait more than 3 months to complete the spend? What do you lose by calling? Hi Dan just got my ink plus in the mail thanks:-) tried registering for visa savings edge and is coming up as ineligible? I applied like 4 month ago and was denied should I try again now? If I already have this card (opened in May), is it worth applying for another one? And if so, should I use the same business or a diff one? If you think you can make a better argument now, sure. Might be tough to get another for the same business. I’d like to apply but I have a hard pull from Barclay about 4 month ago. And I have a fico score of 680, is it worth taking the chance of not getting accepted, and having to wait an additional 6 month to apply, or should i wait 2 month or so and have a better chance of getting accepted at least for the regular offer? If, as a principal, I have school expenses for my own incentive programs such as rewards etc., does this qualify as business expenses for which I will be able to apply for this card? A hard pull from 4 months ago isn’t going to effect the outcome. @Dan: So do I apply for this with my own SSN opting sole proprietor? Do I report my personal income? Thanks Dan! Wishing you lots of hatzlacha and all that comes with it. May you and your family have a happy and healthy winter!!! My wife and I only have mastercard and Amex accounts. With this benefit as a visa eventhough its business card? You can report all income when it asks for it. Not sure what you mean, but yes this is a Visa and Visas do have some nice benefits. How long to wait before calling recon? YMMV or wait a few days to see what happens? what do you write for name of business? @Dan thanks so I applied and got a pending answer should I call regular recon. Our wait for tomorrow to soak to business recon. ? AX/MC/VS doesn’t factor into your score. The Chase benefit booklet itself differentiates between purchases made on the card for business purposes and for leisure purposes. Why would it say that if they don’t want the card used for leisure purposes? So then are they contradicting themselves? Perhaps they mean that we need to use it Primarily for business purposes? I just don’t want to do something dishonest or illegal here. Applied October 14 and the status line says “you will be notified in writing in approximately 2 weeks. Is that not a good sign? This evening I applied for my wife and called the same number says “you will be notified our decision in approximately 7 – 10 business days”. Looks like 50K to me. I applied last night and got pending. I called the status line and it says I will be notified in 2 weeks. should I call recon or wait? could this be why they didn’t approve me? @Dan: dan it was def 70k still on monday am. maybe in afternoon they switched it back. @Adi: it always says 30 days but if you call recon (if nothing is wrong) they should be able to approve you, no waiting required. Dan I encourage you to learn more about how credit works, your report on damaging your credit or hurting your credit by paying off your personal cards is not accurate. Please speak to a credit or tax advisor to get some truthful information. I got 2 of these cards. My friend told me there is a way to purchase Staples gift cards, then transfer this amount to somewhere, and then pay off the Chase card? I think this has been explained here? So I buy 25 of these cards $200 Staples Visa gift cards with my Chase ink. It costs me 175 in fees. Got that. Now I use Bluebird or Serve which I just read. However not so clear there but I need to go to a store to load the Staples gift card to BB or Serve and then I can pay off my Chase ? Thanks for all the great info. Just got my ink card. Besides buying gift cards, can i use it for all my purchases right now to make sure i meet the $5000 in 3 months such as groceries, clothes, bills, tickets, etc? @Dan: is it possible to SM and get 70? Do you believe that the Ink Plus Bus 70K offer will come back out? I have a chase business ink card I tried getting an increase on my spending limit they are asking me what my occupation is and how long what do I answer on this? Dan I have a question for you. About 5 months ago I got an amazon visa which is through chase. They gave me something like 50$ gift card. I have not used it since. Can I call chase up and ask them if they would close the amazon credit card and use that line of credit towards a chase ink? does anyone know how to get those free lounge visits? I signed up for this offer and called chase in beginning of january to know exactly when i needed to spend the 5k. I was told Feb3. Now i called up and they said time has already passed. Is there any way to fight this? Did you finish the spend yet?